Coke or Pepsi? Doesn’t matter. Pepsi hasn’t gotten into 3D printing yet. Coke has. 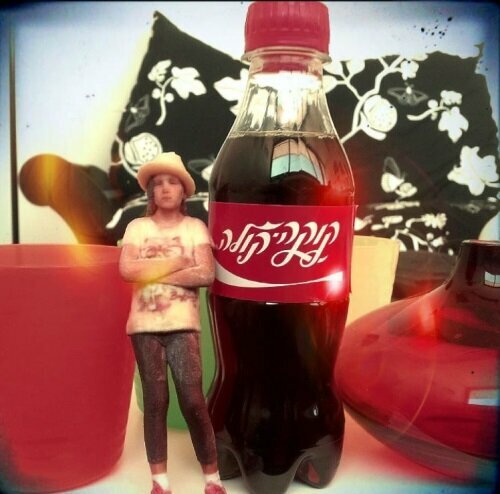 As part of a promotion for its new, Mini Bottles in Israel, Coke invited fans to create avatars of themselves for a virtual game. “Winners” were selected and taken to be 3D scanned and have Mini Me’s of themselves printed in full color. These types of promotions are likely to become more common, as Coke wasn’t the first. Disney has printed little girls as princesses and nerds as carbonite Solos. If you’d like to have your own 3D printed statue of you, head over to Captured Dimensions.